Romney had hoped to keep his taxes and business experience off the table, but making such demands only makes him look like a cry baby. This might be a fair deal provided that Romney stop making stuff up and stop trying to place the blame for the Bush Recession and Bush Deficit (which Ryan voted for) on Obama. Announcing the choice of Ryan (even if calling him the next president in error) will change the topic of discussion briefly. Unfortunately for Romney it might change the conversation in ways which do not help him. With the announcement of Romney/Ryan, Goldwater/Miller is no longer the most far right ticket in Republican history–and may they suffer the same fate. This ticket is also unique in not having a candidate with military or foreign policy experience, and in not having a Protestant. As is usual for Romney, he has both backed the Ryan budget on several dates and has tried to distance himself from it. Now there will be no more successful shaking of the Etch-A-Sketch. Romney is attached to the Ryan budget and plans to destroy Medicare as we know it, regardless of his campaign talking points. Ryan’s earlier attempts to privatize Social Security, which went beyond those of George W. Bush, may further harm the ticket. Florida, which has only been leaning slightly to Obama n recent polls, might wind up to be out of reach for the anti-Medicare boys. Choosing Ryan calls into question any claims of having a running mate who is qualified to take over from day one. It also makes it difficult for Romney to continue to attack Obama for a lack of experience in the private sector. Ryan’s private sector experience is limited to summer jobs such as driving the Weinermobile as an Oscar Mayer salesman. He does have experience working as a Congressional aide, including for Sam Brownback. He also shares many of Brownback’s reactionary views. Choosing Ryan might help Romney keep the election about the economy as opposed to other issues. There are even some on the left who, while disagreeing with Ryan, do say he is serious. James Fallows explained just how unserious Ryan’s economic proposals really are. While Romney would prefer to keep the election centered on the economy, Ryan’s far right views will further alienate the ticket from women, as well as with reasonable individuals regardless of gender. For example, Ryan co-sponsored the Sanctity of Human Life Act, which declares that a fertilized egg “shall have all the legal and constitutional attributes and privileges of personhood,” effectively banning abortion and some forms of contraception. While in theory this should shore up the vote from the religious right, the ticket could also have problems with them. Ryan is a strong follower of Ayn Rand, an ashiest who has written many things which would greatly offend the religious right. Ryan’s major strength is that he does have the ability to make very bad ideas sound palatable. Democrats will be forced to respond with ideas of their own, defending what is necessary from government without the out-of-control spending which Republicans accuse them of. This could be an exercise which is good for the Democratic Party. Mitt Romney is going to announce his running mate on Saturday and his choice is widely believed to be Paul Ryan. Of course, being a Mormon, Romney reserves the right to pick additional running mates in the future. In choosing Ryan, Romney did not feel it was necessary to add a buffoon to the ticket as many former Republicans have including John McCain, George H. W. Bush, and Richard Nixon. After his recent trip abroad, Romney has demonstrated that he will fill that role himself. The choice of Ryan provides potential benefits for the Democrats. 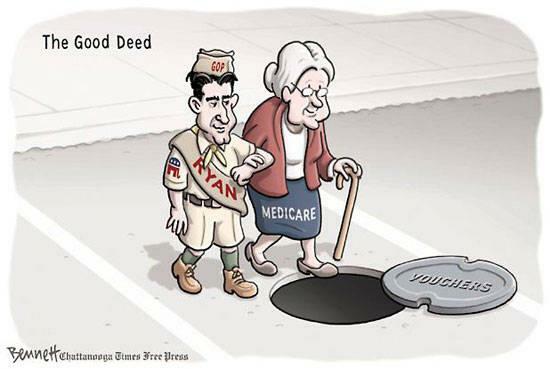 Having Ryan on the ticket will highlight the Republican budget which would destroy Medicare as we know it. Presumably Mitt Romney feels that too can be shaken away like a Etch-A-Sketch. Running on the same ideas which were proposed months earlier is a concept which is entirely foreign to Mitt Romney. Democrats would benefit from this choice if this means Ryan will not be running for reelection to the House. This also provides further evidence of how Romney is afraid to buck the far right wing of the Republican Party, which is presumably why Romney is using the late Friday news dump to leak his choice. For Romney, this offers the possibility of diverting attention from his income tax returns for a few days. No word as to whether Ryan will be releasing his tax returns. Ryan’s business experience will also offer a more reputable option compared to Romney’s years at Bain. Ryan previously worked as an Oscar Mayer salesman and drove the Weinermobile (not to be confused with what Anthony Weiner texted). All in all, this seems to be a true desperation move after falling behind Obama in the polls. Updates: Checking Wisconsin law, I found that Ryan’s name will remain on the ballot and he will keep his house seat if he becomes Vice President. Should he win there will be a special election to fill his seat, provided the country survives that long. 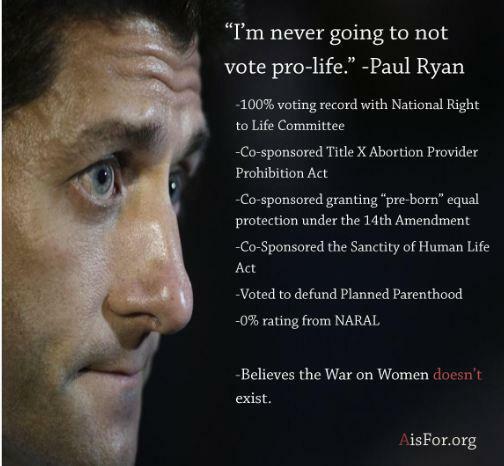 More on the choice of Paul Ryan in this post.